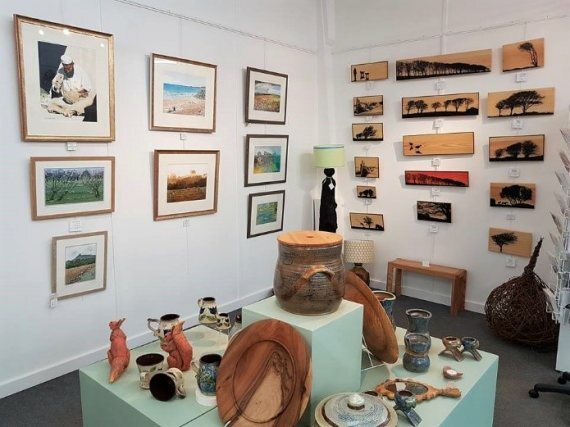 Yandles Gallery is an informal, friendly gallery showcasing West Country talent. 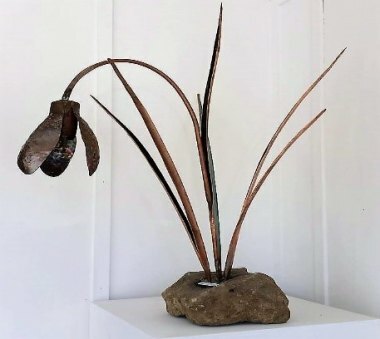 The gallery exhibits a wide-ranging, ever-changing display of art and craft. 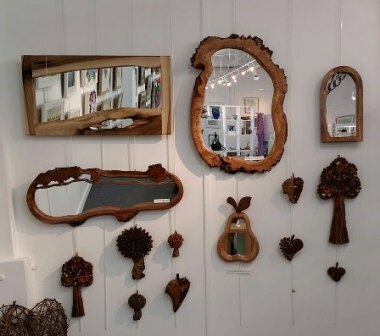 Being based at Yandles of course we have a good variety of woodcraft, from fine turning and delicate carving to practical bread and cheese boards, oak lamp bases, clocks and mirrors. We welcome wood turners popping in for inspiration! Beyond wood we sell many other crafts, again beautiful or practical; often both. Ceramic home and garden ware are favourites, as is jewellery with both traditional and contemporary designers. There is vibrant glassware alongside charming teddy bears, wire sculptures and beautiful silk scarves in every colour under the sun. 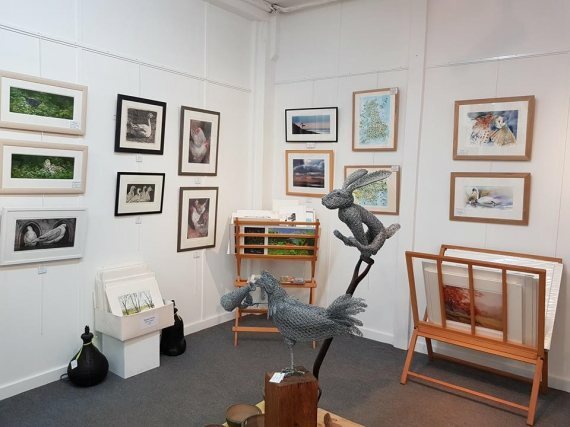 The fine art includes evocative watercolour landscapes, delicate detailed bird paintings, experimental mixed media, naughty fairies and everything in between. We like to support both established and emerging talent and many of our artists provide prints as an inexpensive way of owning a picture. We aim to have something for everybody and in our gift area we have a selection of very popular cards, gift wrap and gorgeous toiletries making it hard to leave the gallery empty handed! 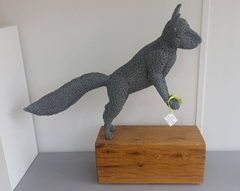 So, whether you are looking for an unusual gift, something for the home, a treat for yourself or even inspiration, Yandles Gallery is the place to visit. It’s bright, colourful and makes a welcome change from all of the ‘standard’ high street shops; you are sure to find something unusual and unique.